We had another snow day today and spent another couple of hours in the park sledging! 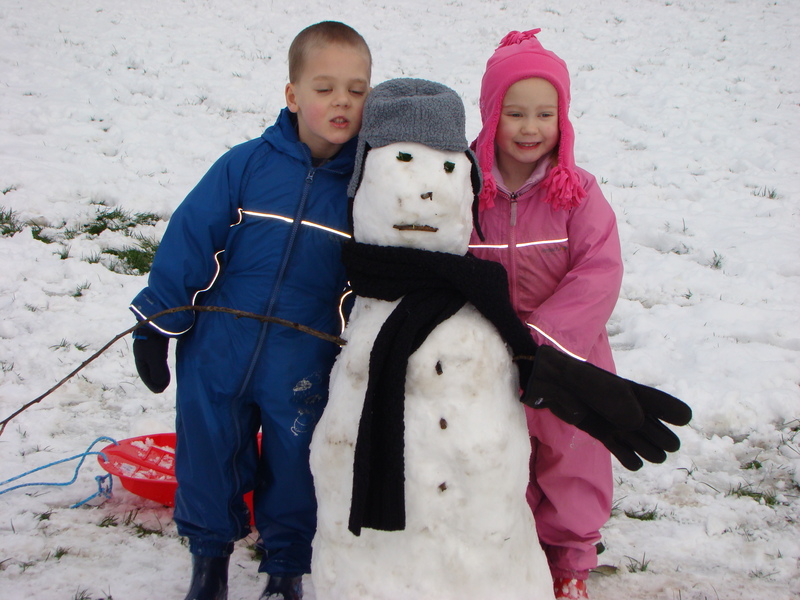 We also finally built the snowman the kids have been asking about for days, as daddy was with us today and he is much better at building snowmen than I am! This afternoon Thomas and Jasmine both did some Reading Eggs on the computer. As I mentioned recently, in this post, they have started asking to do “learning” on the computer again and I have to admit I am encouraging this! It amazes me how they just seem to know when they are ready to start again, ready to move on to the next step of their learning. I thought that with the 3/4 month gap they have had, I would need to take them back a few lessons so they could remember where they were and what to do but it seems I was wrong. They have picked up where they left off and come back with more confidence. 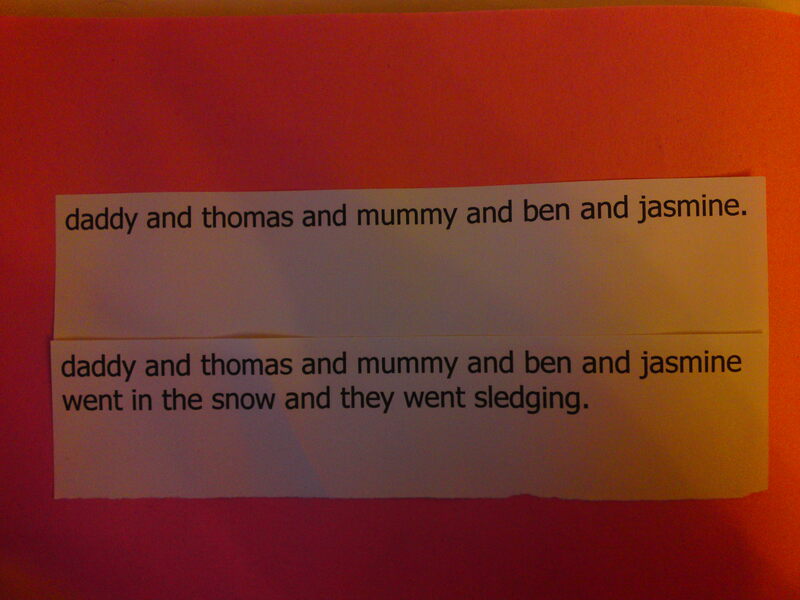 Thomas is picking up sight words instantly that 4 months ago he just couldn’t get and Jasmine is finally recognising words and sentences as a whole unit and contextualising words she doesn’t know. It is amazing what a break can do for them it seems! The only bits he had help with were the “w” at the end of “snow” and the “dg” in the middle of “sledging.” I am very proud! This was entirely the kids own idea, but did take some help from mummy and daddy to make!